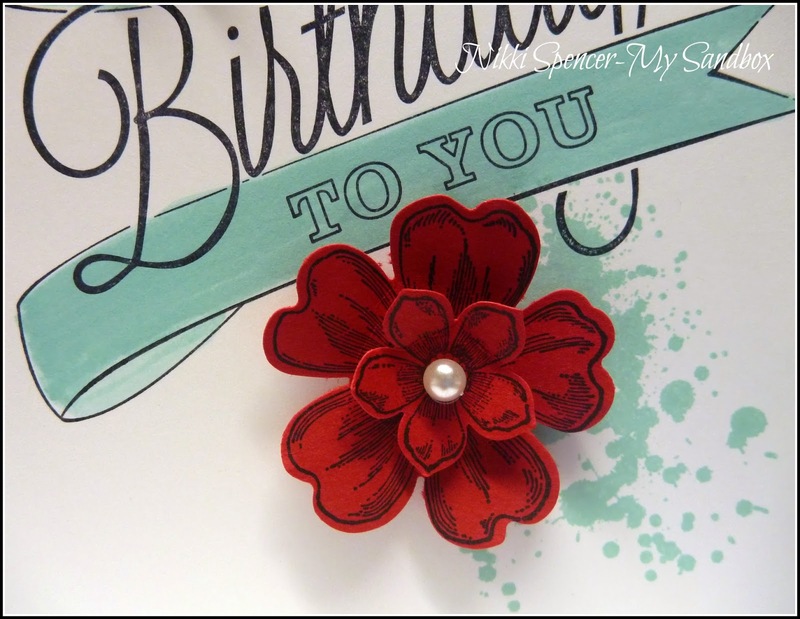 Just Add Ink #208...Colour Challenge! 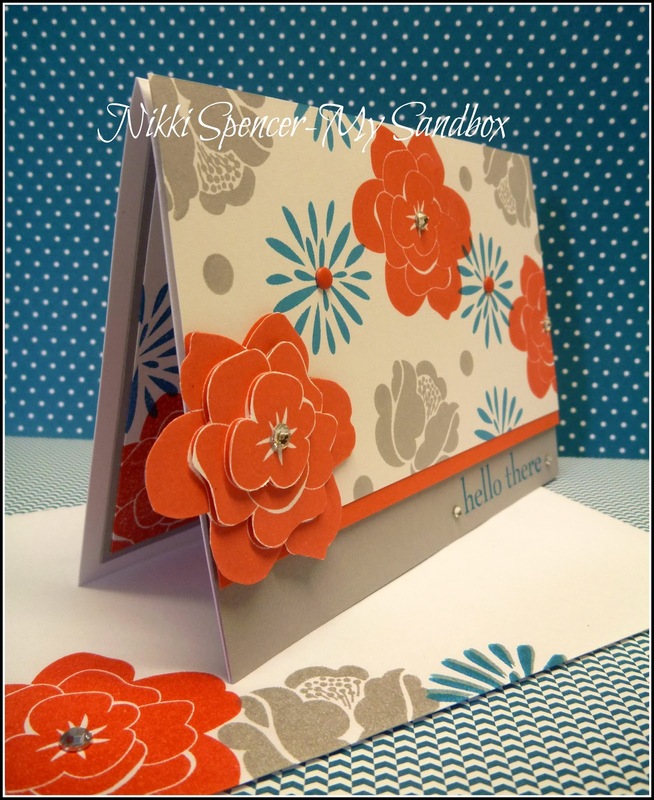 Good Morning!...It's Just Add Ink challenge time again and this week we have a cool colour challenge for you, suggested by Mae. 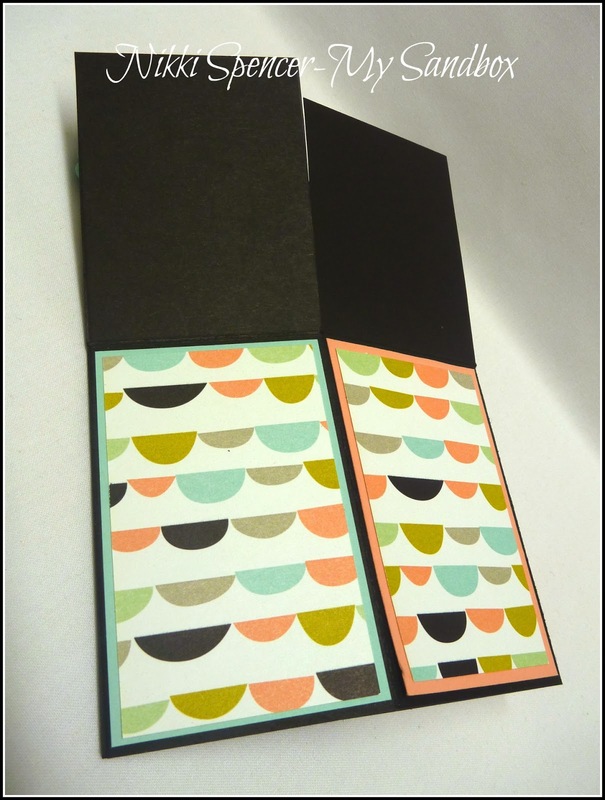 On seeing these colours, l thought they would be great for making my own dsp and decided they needed to be bold and solid images to match the strong colours. 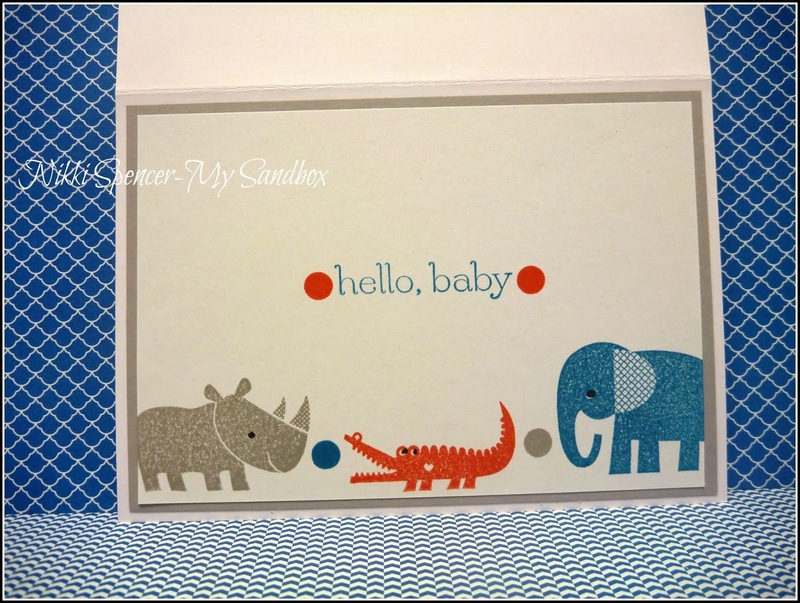 I actually created two cards using this idea, the second one is coming up shortly in another post using the very cute Zoo Babies set.. 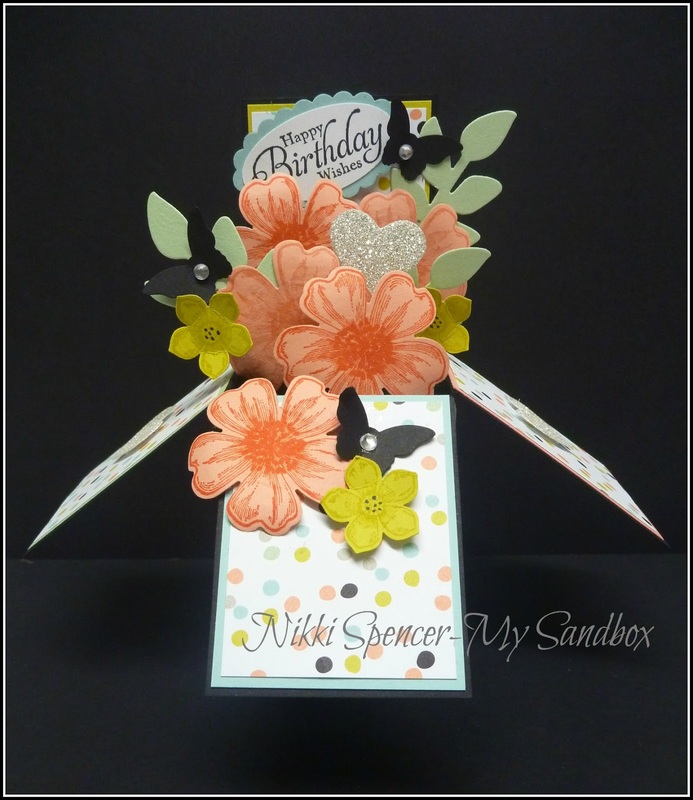 I had originally created this card flat and let the images and colours be the focus, but as you can see by the different pics, l added a fussy cut flower to the left side to give it some added dimension, after taking the initial photos, but thought l would share both anyway. 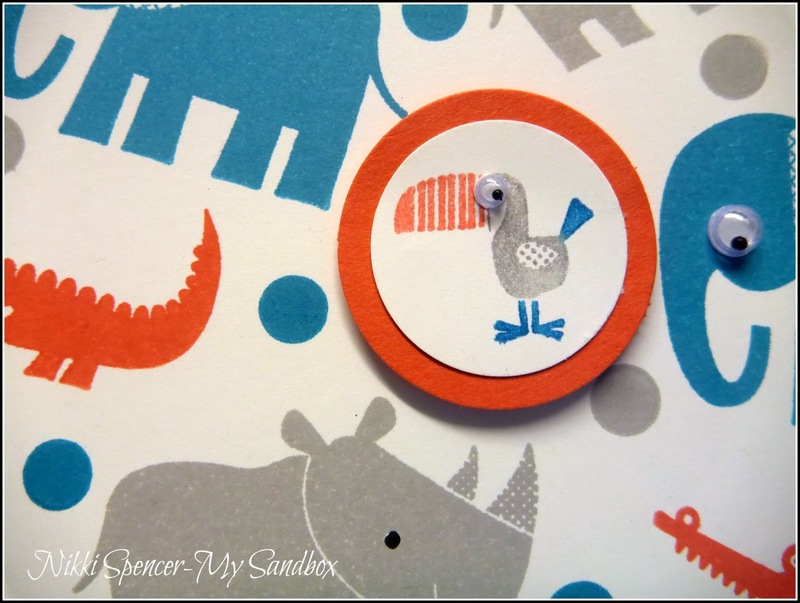 The design team have come up with so many different ways to use the colours, so there is heaps of inspiration over on the challenge blog, pop on over and check them out and hopefully you can join in and share your way! 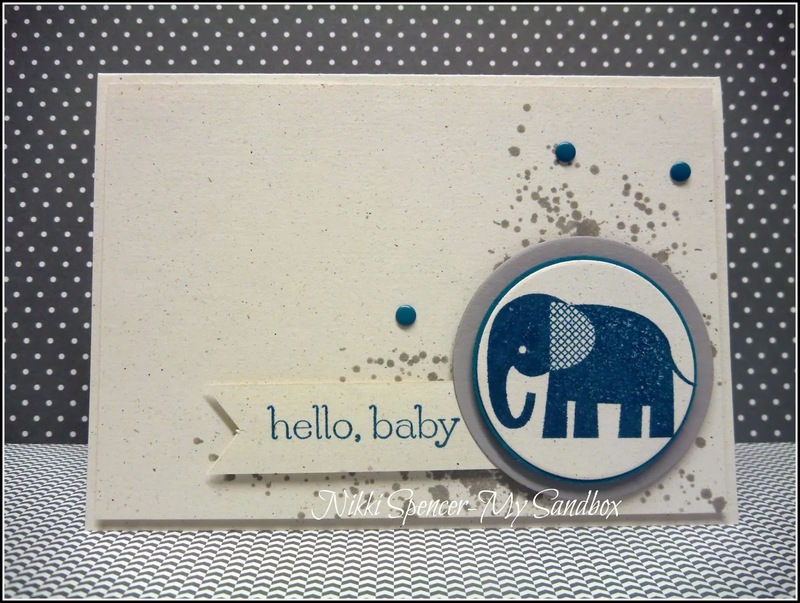 Afternoon bloggers!....Gee there seems to be so many bub's arriving lately and while l had few cards in stock, l was wanting to make one especially for a little man, who just happens to be my "Great Nephew"...So cute and cuddly and such a handsome little dude! As l seem to be doing a lot lately, l used Naturals White cardstock for the base, l really like the soft textured look and feel, plus it's a nice sturdy weight for bases. 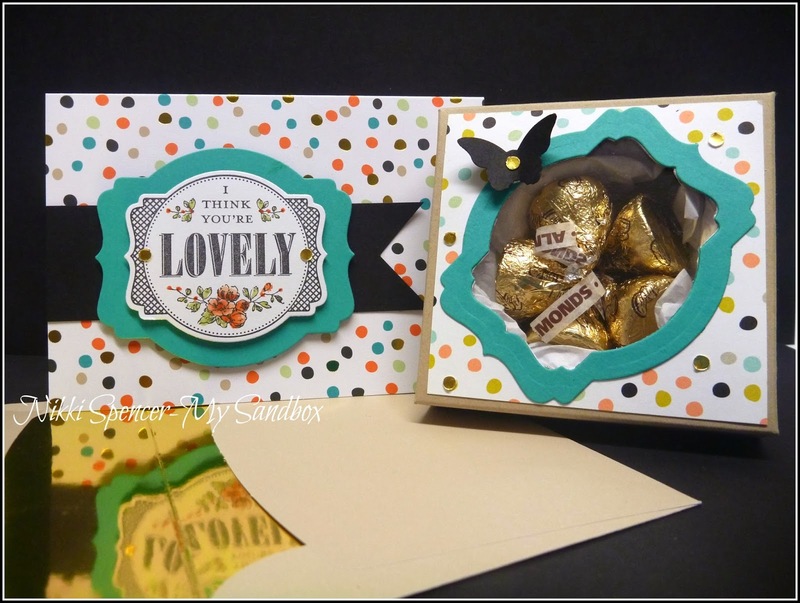 I paired it with a smidge of Smokey Slate & Island Indigo and couldn't resist adding some of the cute Candy Dots! 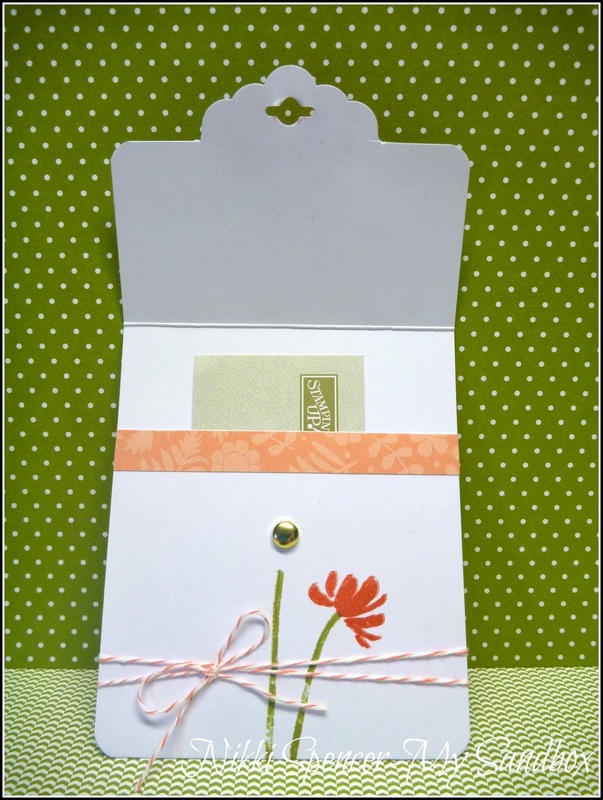 Hey stampers!....Today's project is a cute gift card holder made with the "Scalloped Tag Topper" punch. 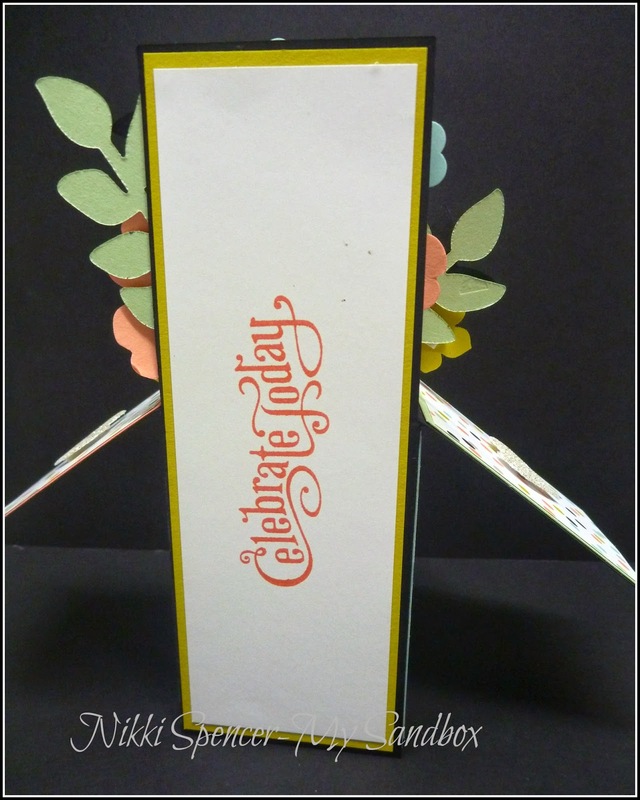 It is a standard vertical cardbase (half A4) and the fold & score measurements are 3" & 8" using the 3" section with the tag punch.. 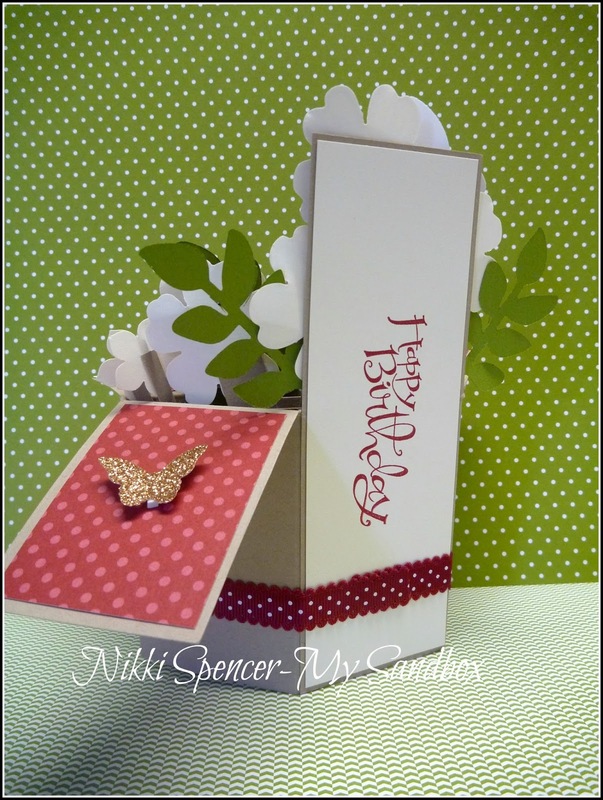 It has a cute Brad closure and a decent size pocket for gift cards/vouchers. 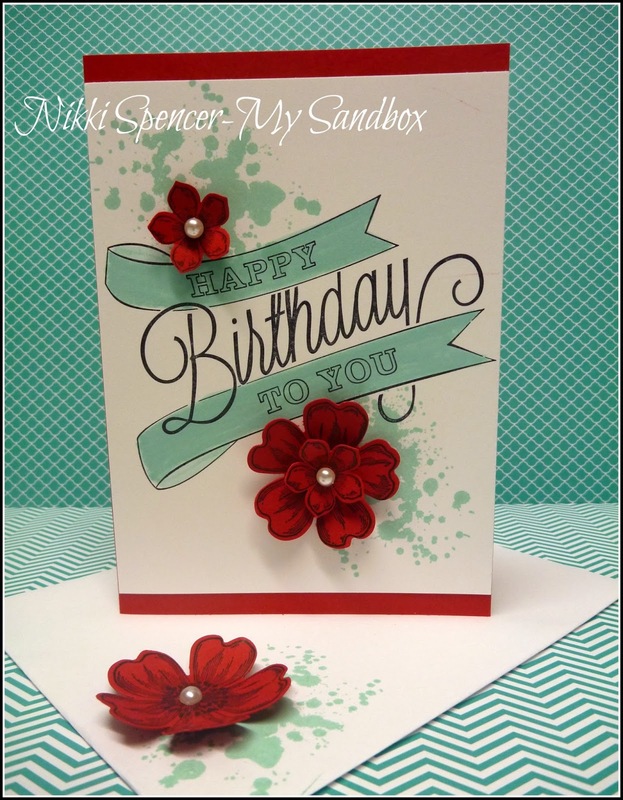 Just Add Ink #207.....Sketch Challenge! 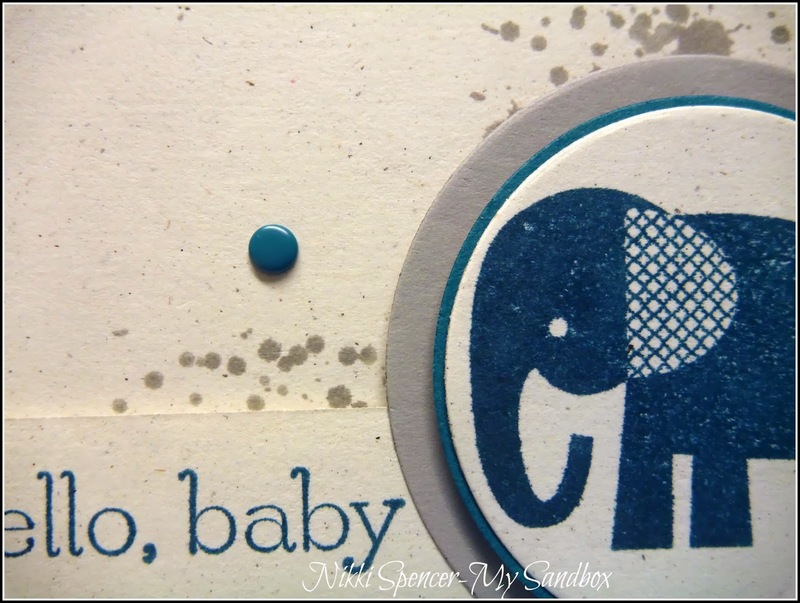 Yay!..It's Friday and time to share this weeks Just Add Ink challenge. 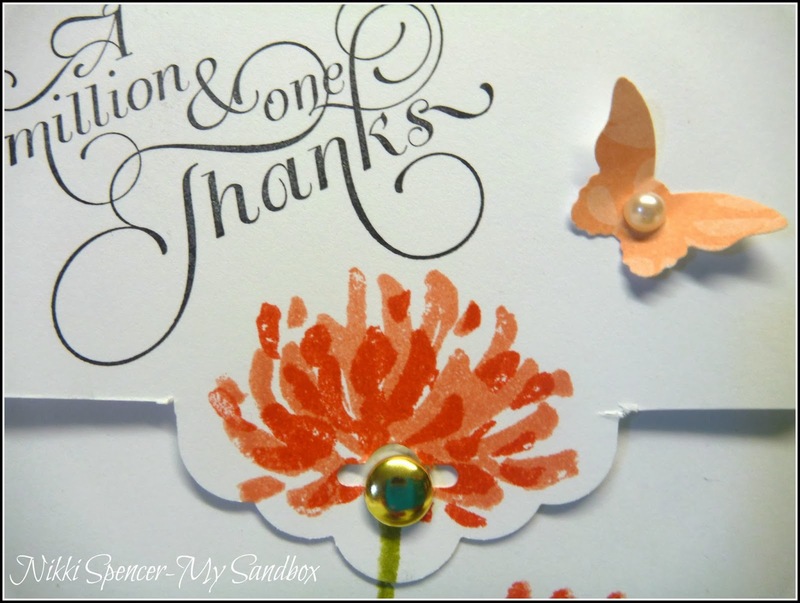 We have an awesome sketch from Kim, l love the layers and different elements and really enjoyed making my card. 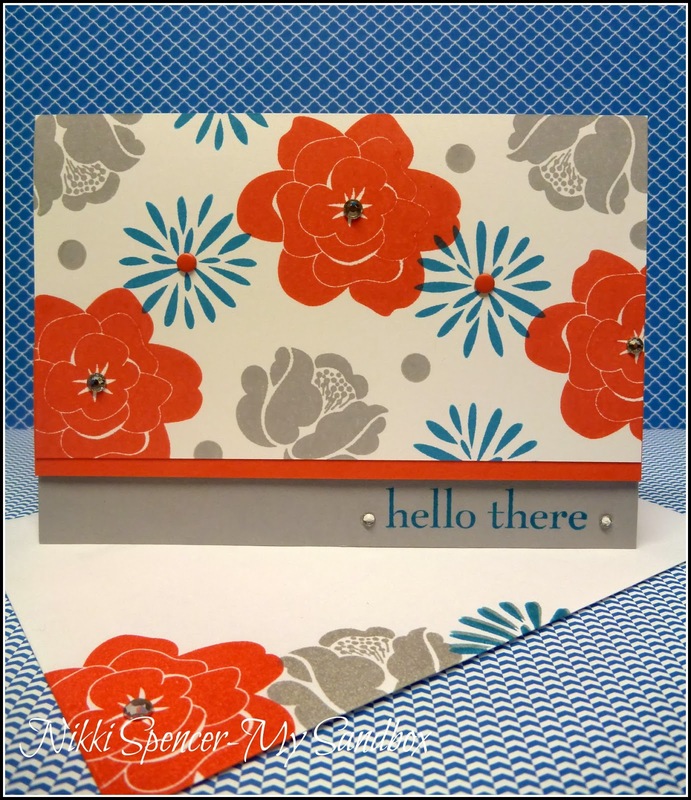 And as always of late, l added some images to the inside and envelope, albeit very simply for this one, but as the saying goes.."Less is More" and with the fresh crisp colours, l felt it was enough. 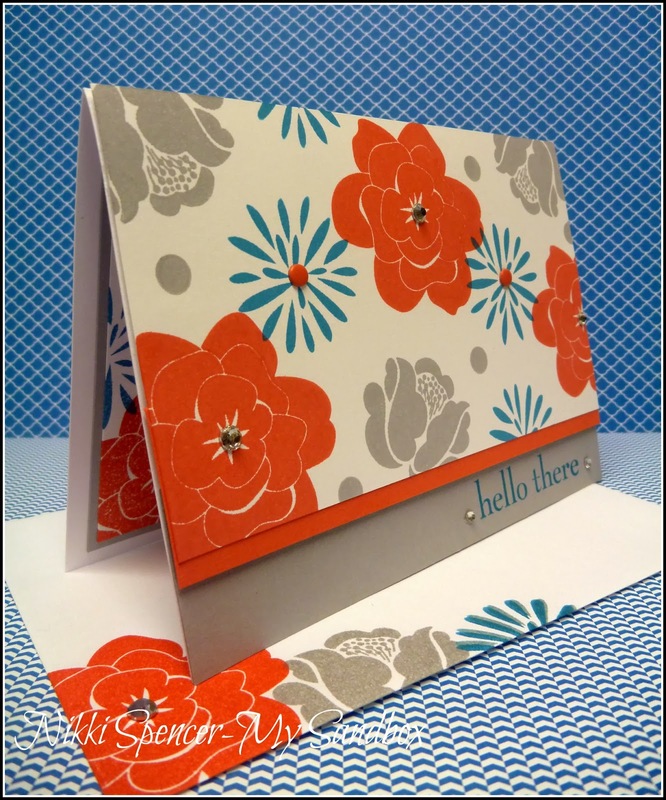 Don't forget to stop by the Just Add Ink blog and check out all the lovely DT samples and hopefully you will be inspired to join us this week. Another Great Year...In Red & Pool Party! 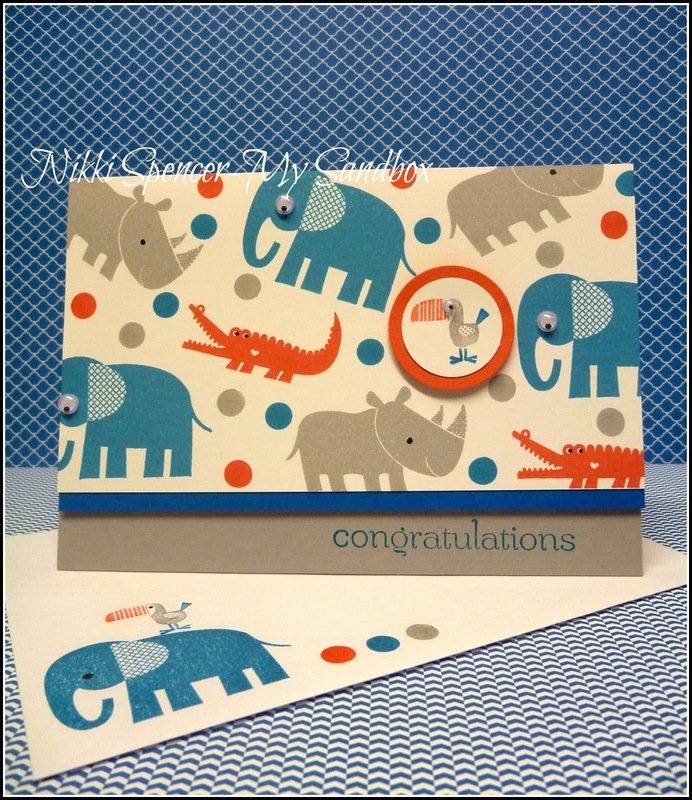 My card for today was made with a fabulous new set called "Another Great Year" available in the occasions catalogue from Stampin Up! I totally love the huge font image and the cute little additions that come with it. 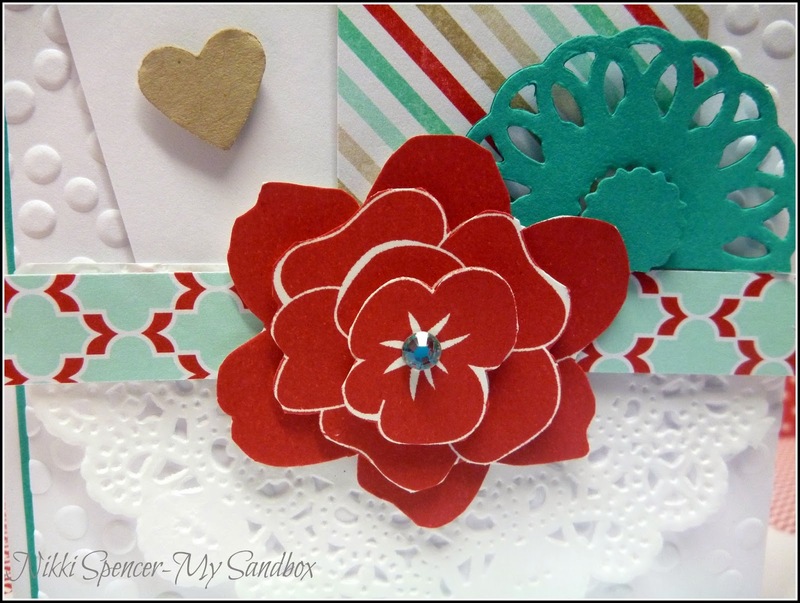 I used my SU markers in Pool Party to colour the banners block style and Real Red cardstock and the "Flower Shop" & Petite Petals Bundles from Stampin Up to create the flowers. 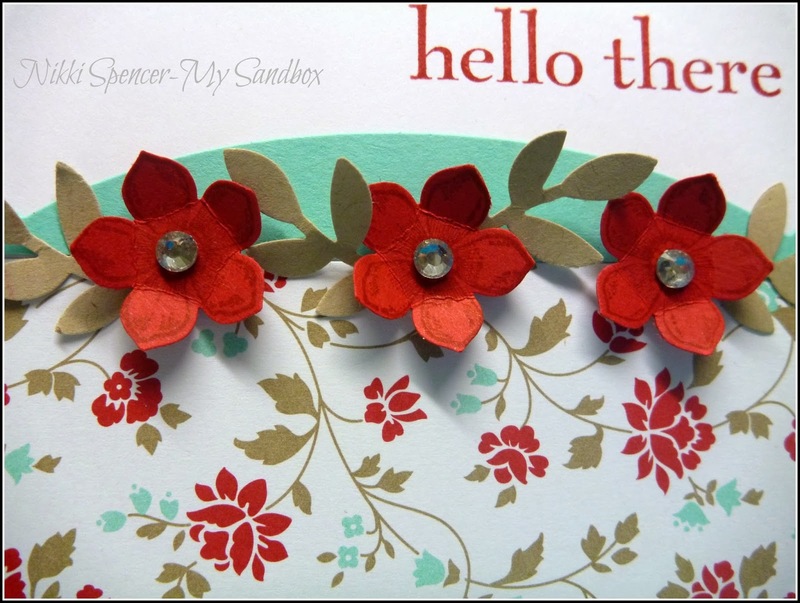 I love the "WOW" look the bold red flowers give! 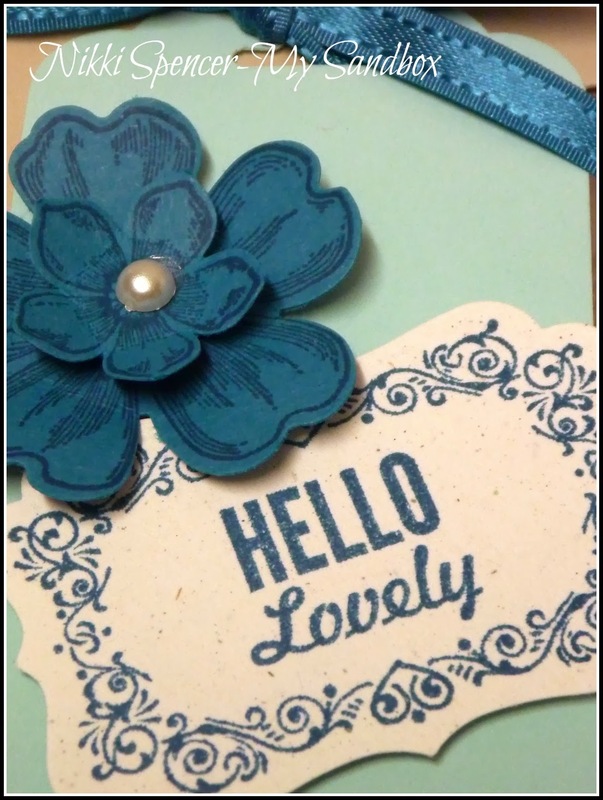 Morning bloggers!....Our theme over at Just Add Ink this week is to "Just Add Sale A Bration" so l thought while l still had bit's out on my desk, l would have another play with some of the yummy free products you can earn. 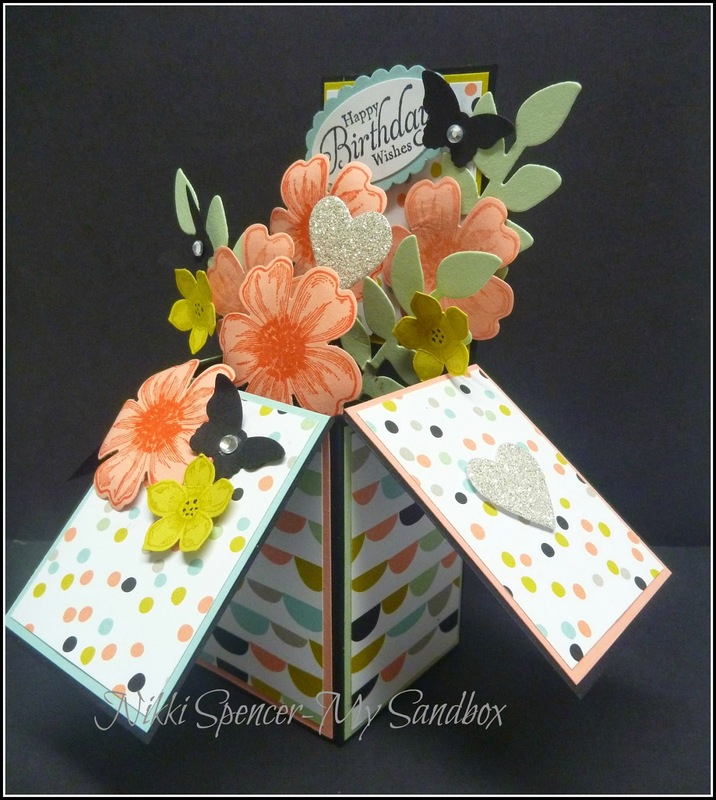 Don't you just love that cute confetti style cardstock? It's part of the "Good as Gold Kit" and it is so cute! 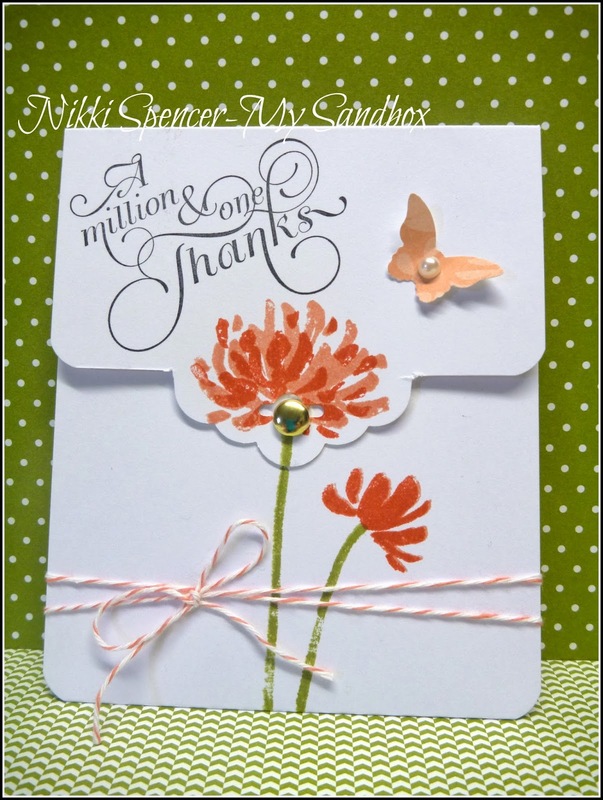 Today I'm sharing a 4"x 4" note card using a flower l made with the Fringe Scissors and some Calypso Coral & Crisp Cantaloupe cardstock. 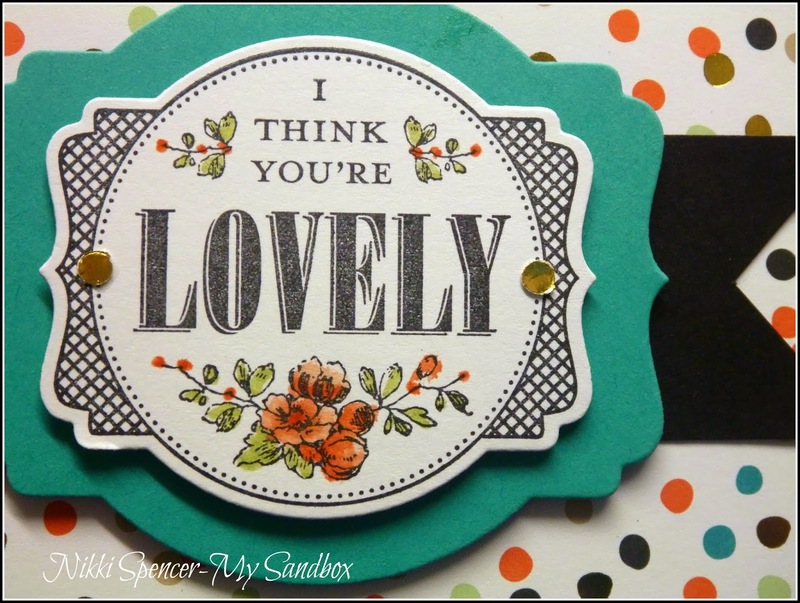 The background stamping is done with the Summer Silhouettes and Gorgeous Grunge Set's and the sentiment is from Sassy Salutations. 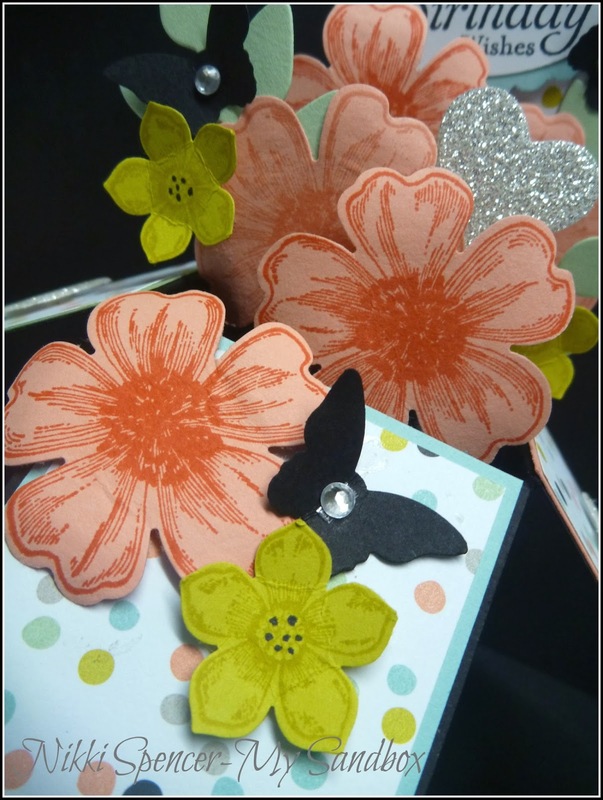 In this post here, you can find a pic tutorial on how l made the flower. 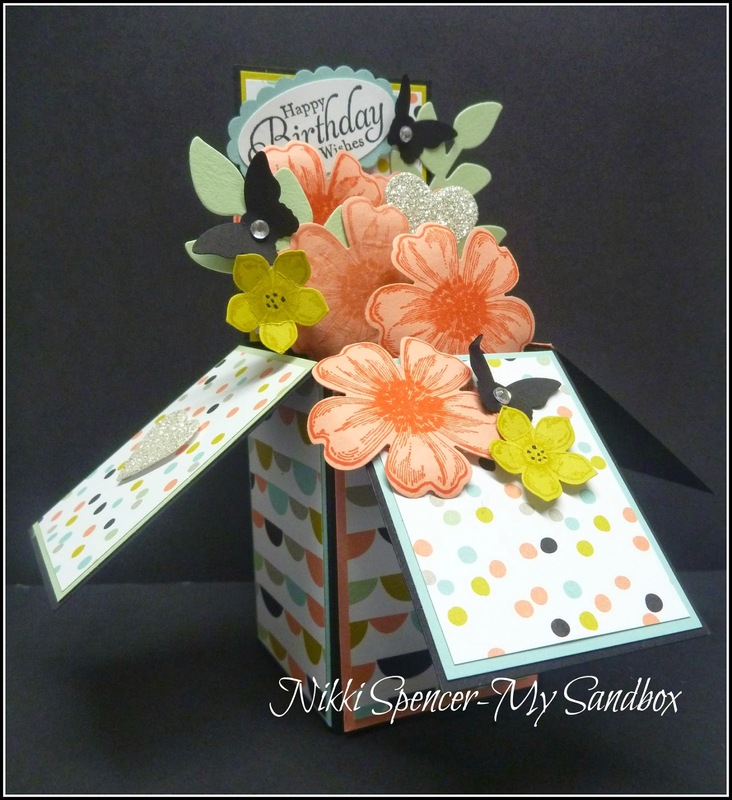 Card in a Box....Flower Shop! 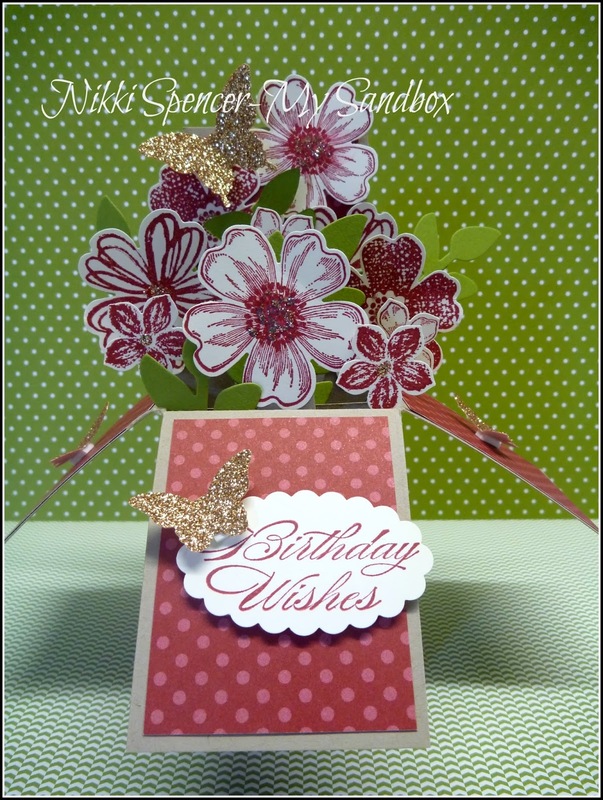 Afternoon everyone!....As you can see I'm a little obsessed with these "Card in a Box" projects, but l really wanted to make one for a special birthday that's coming up and thought l would give the Cherry Cobbler, Olive & Gold combo a whirl. 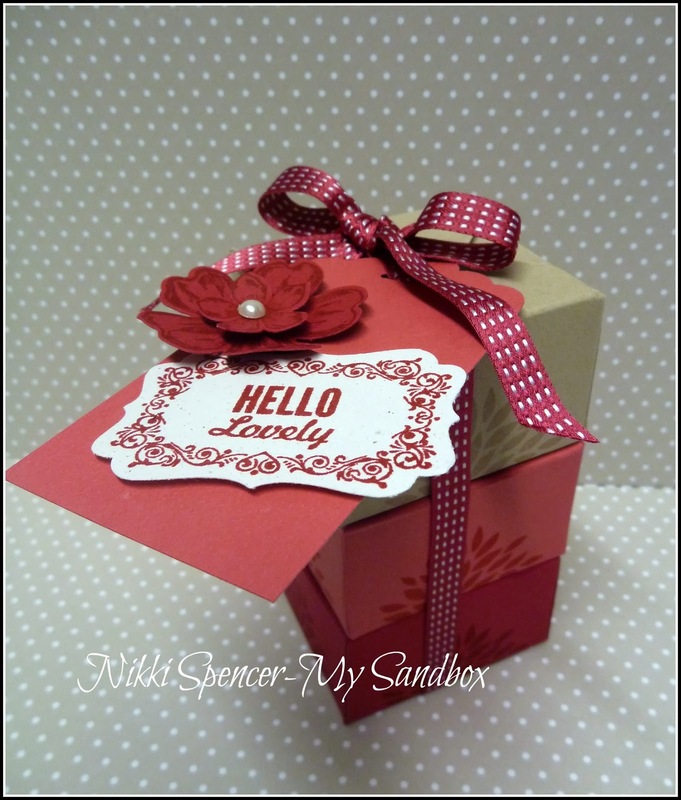 It's very sparkly & pretty IRL and the colours work lovely with the Crumbcake box. 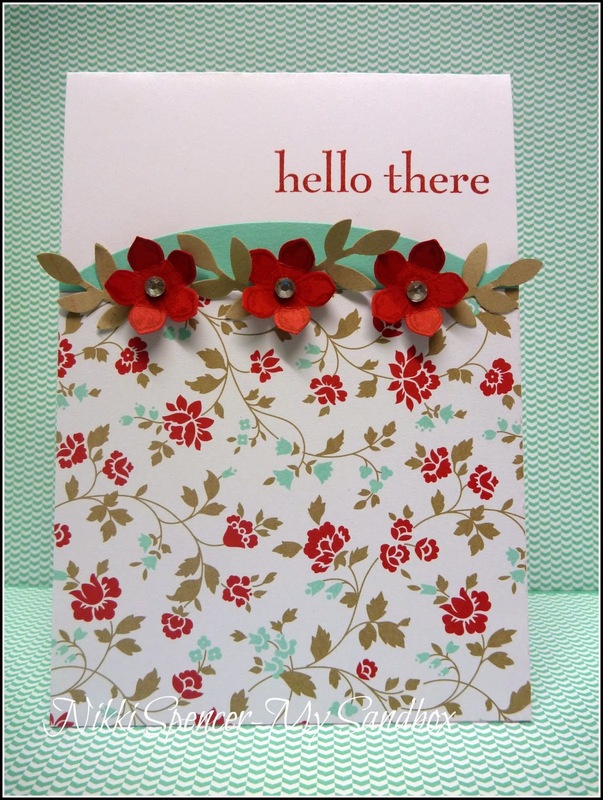 Using the "Flower Shop" & Petite Petals punches made it super quick to put together. 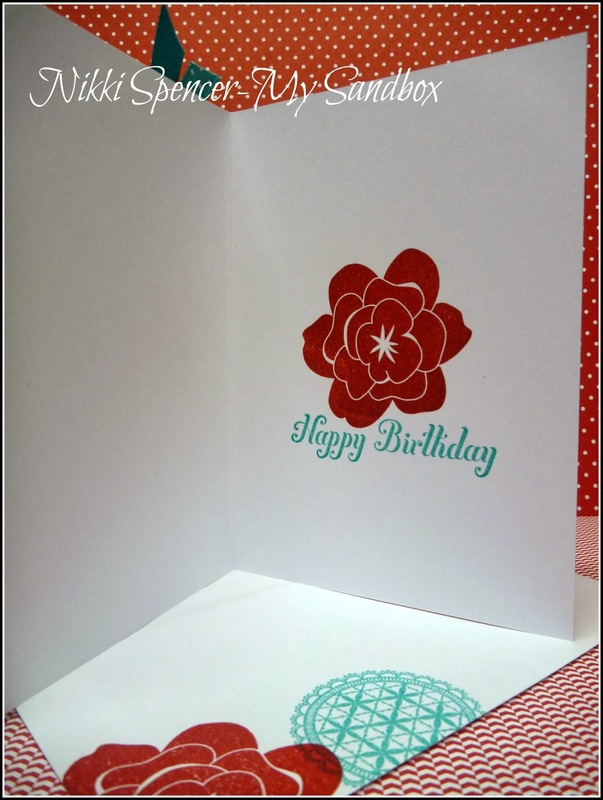 Hey there everyone!...It's Just Add Ink time and our challenge this week is from Paula and she thought it would be a fun idea to add "Sale-A-Bration", Stampin Up's current product promotion. 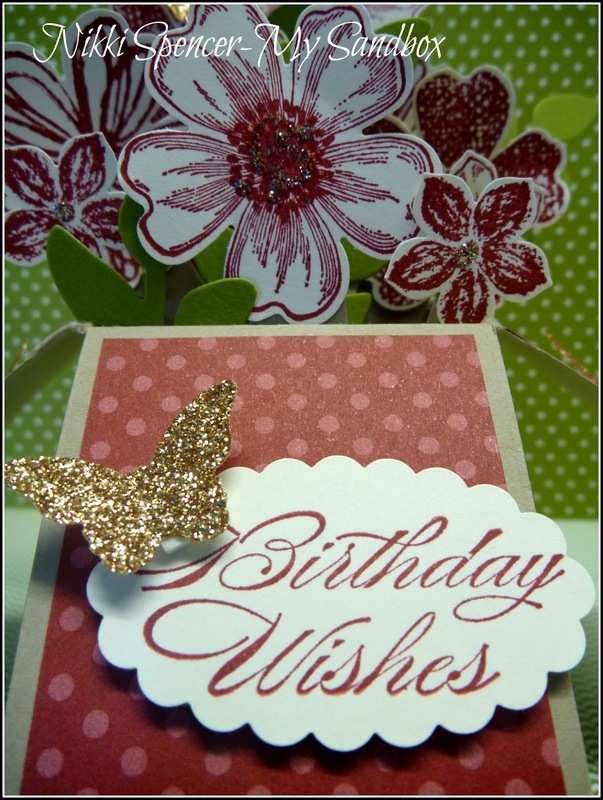 You can use any Sale-A-Bration products to create with. 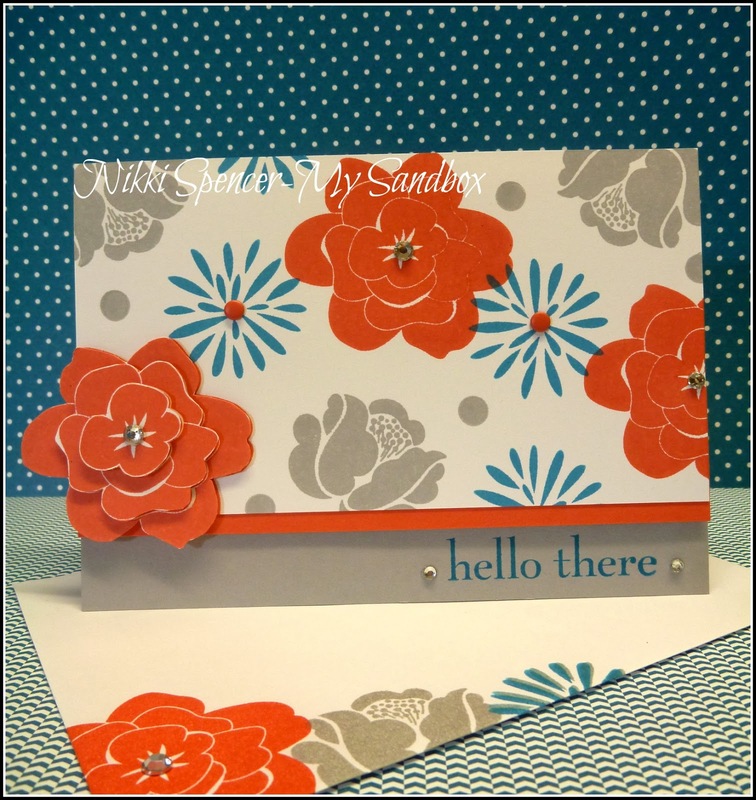 I chose the gorgeous "Sweet Sorbet" dsp which is so yummy! 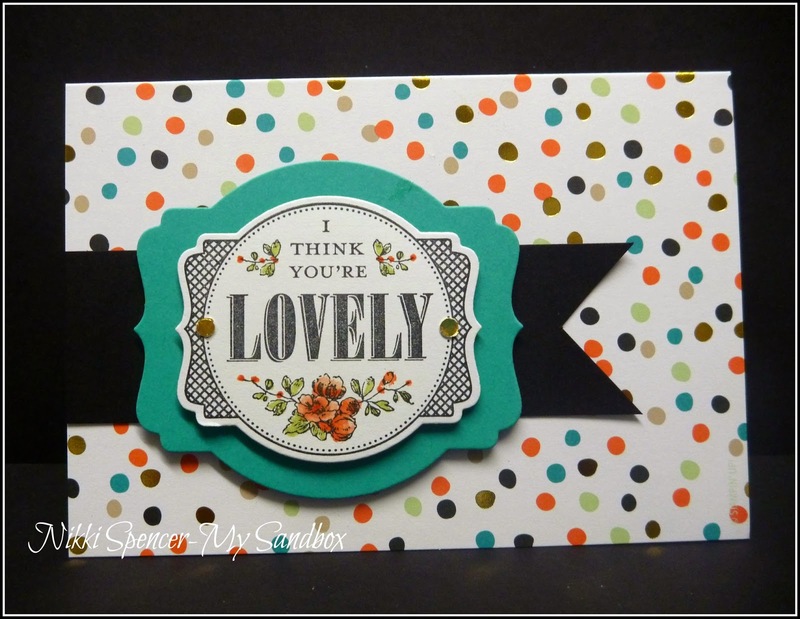 The colours are such a great mix and the patterns are fabulous! 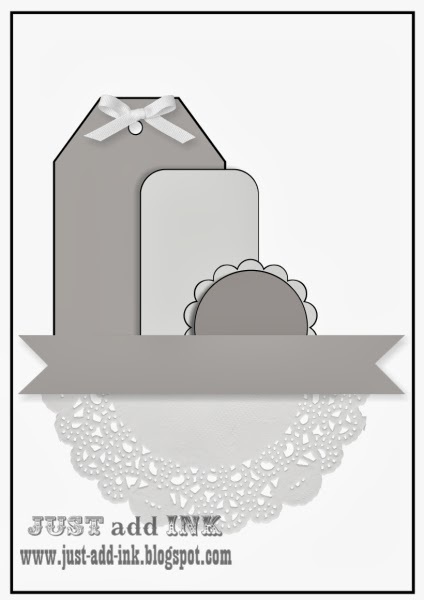 Don't forget to check out the design teams projects to see how they incorporated SAB into their creations and just to remind you, you can follow us on Facebook & Pinterest too! 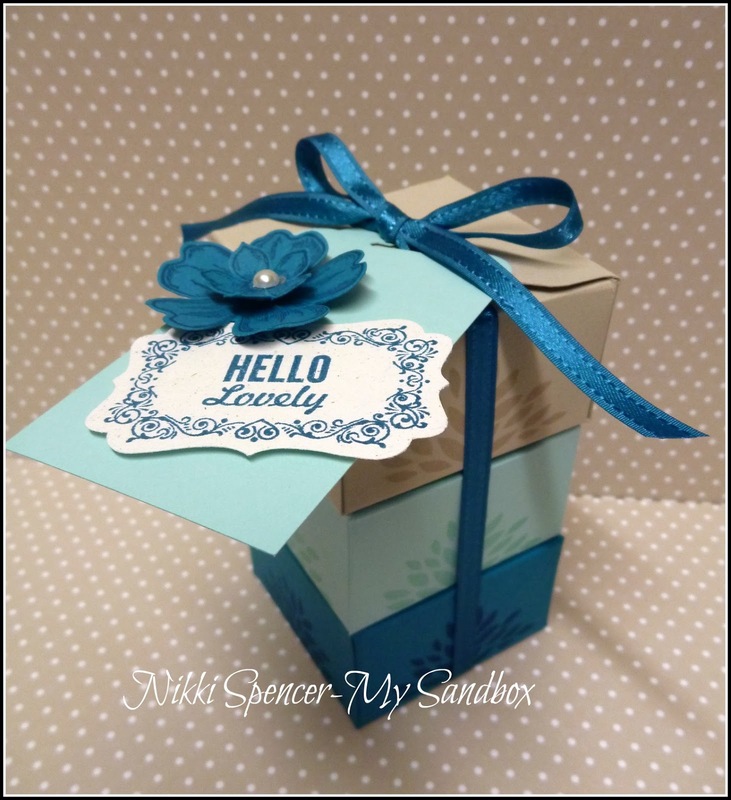 I can't believe l forgot to share these earlier..:0) A couple of weeks ago l had lunch with two of my fave people that l love catching up with and had made them some Soy Melts in three different scents as a little gift. 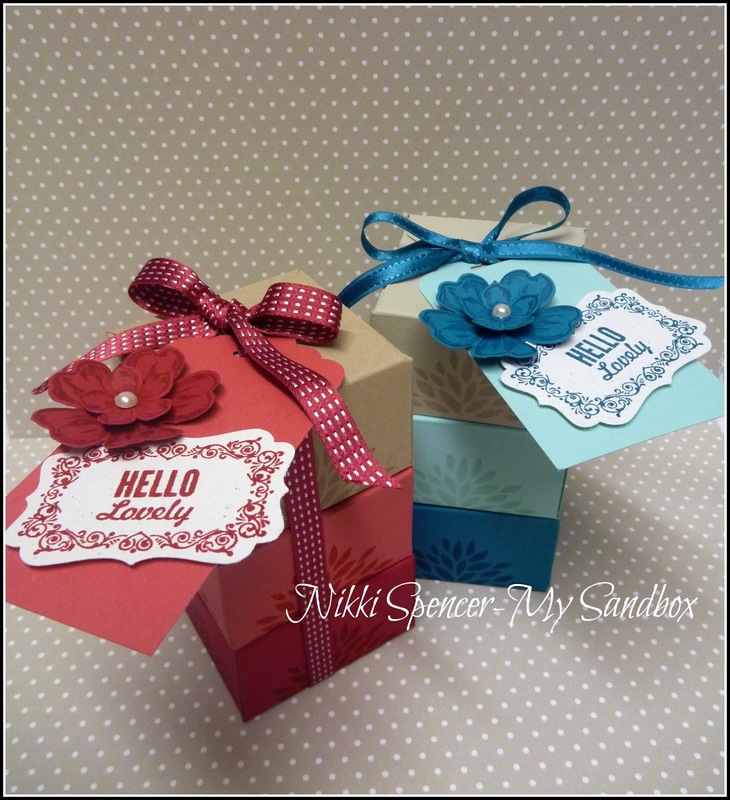 I really wanted them to be packaged up prettily and incorporate their favourite colours. 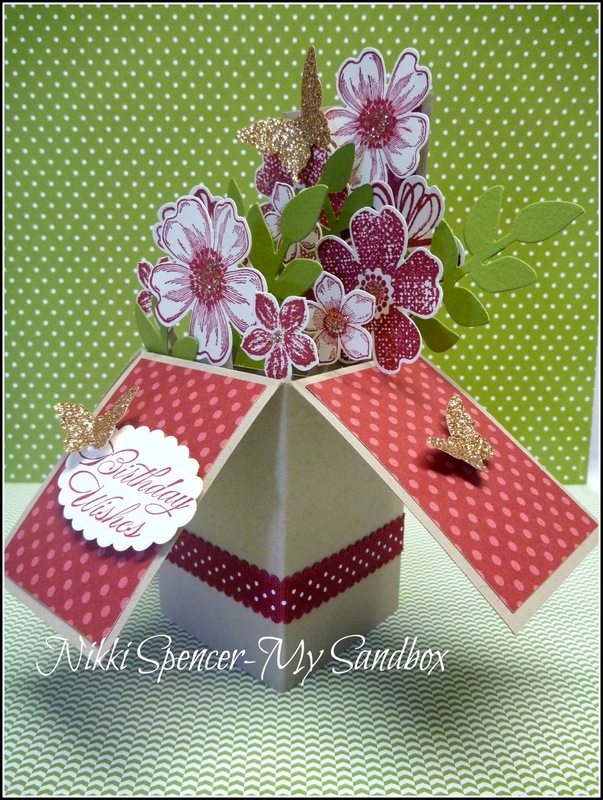 I created the six little boxes in Island Indigo, Pool Party & Sahara Sand and for the other l used Raspberry Ripple, Primrose Petals & Crumbcake. 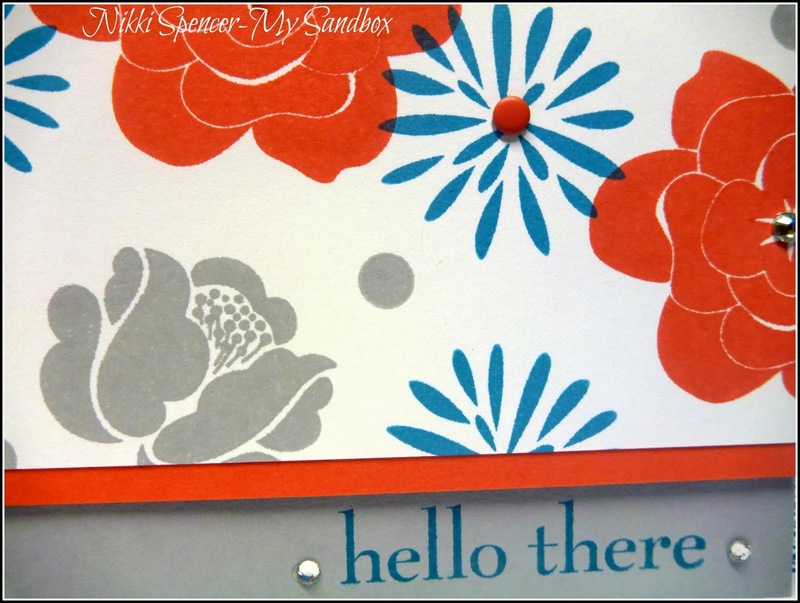 I used the Envelope Punch Board and cut my cardstock to 6" x 6" scoring at the 2" mark and stamped them with one of the flower images from the Petal Parade set. 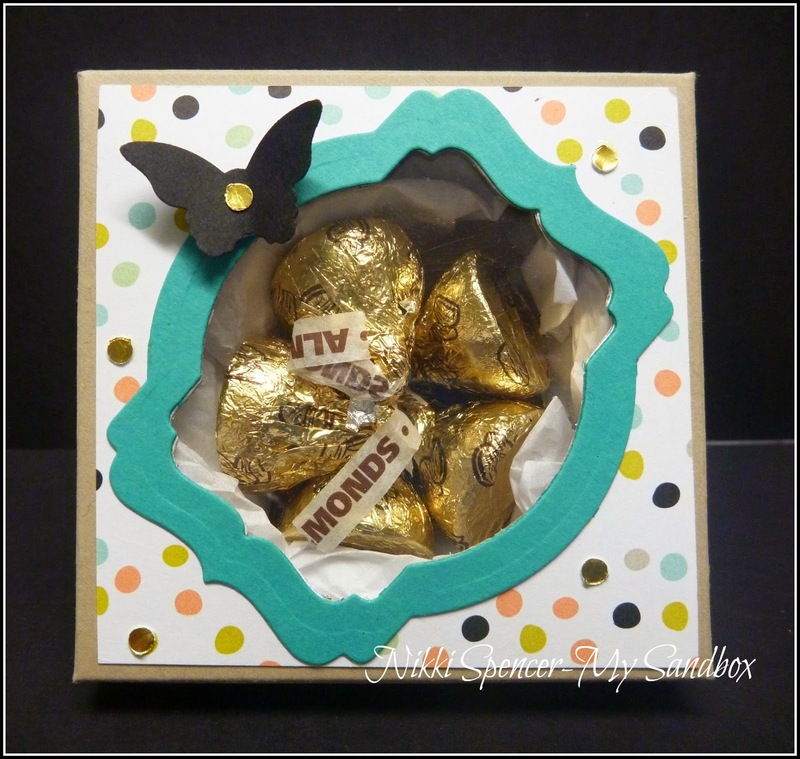 Each box holds 2 melts perfectly!